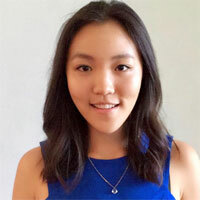 Annie received her Bachelor of Science degree from UCLA in 2017, majoring in Psychobiology and minoring in Evolutionary Medicine, and has worked under the mentorship of Drs. Dumesic and Chazenbalk for the past three years. 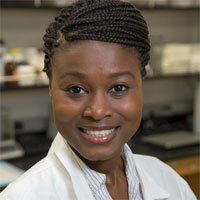 During that time, she has mentored six undergraduate and medical students, co-authored two publications in peer-reviewed journals, presented her research at the American Society for Reproductive Medicine, and helped develop a patented mitchondrial bioassay that estimates energy delivery to the developing human oocyte (egg). “The program introduced me to the field of women’ health and has helped me develop into a responsible, curious, and knowledgeable individual in the scientific community,” Annie says. 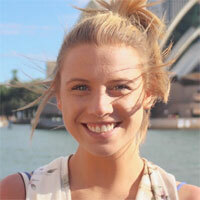 She is currently applying to medical school and hopes to pursue a career in OB/GYN. social and health relationships in women’s reproductive medicine. She has been in the lab for the past two years and is currently working on a research project focused on adipogenesis (the process of cell differentiation) in polycystic ovarian syndrome (PCOS) women before and after treatment with an androgen receptor blocker. “Working in the lab has empowered me to be more active in my education and approach scientific concepts in more hands-on, collaborative ways,” Samantha says. “I am continually challenged to remain organized and responsible, and to ask deeper questions.” She plans to attend medical school and pursue a career in endocrinology, metabolism, or other aspects of women’s health; and hopes to incorporate research into her medical career. 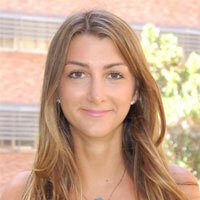 Ariella graduated from UCLA in 2017 with a Bachelor of Science degree in Molecular, Cell, and Developmental Biology and a minor in Anthropology. She joined Drs. 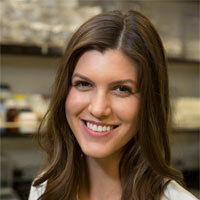 Dumesic and Chazenbalk’s lab in her fourth year at UCLA because of her interest in Reproductive Endocrinology. 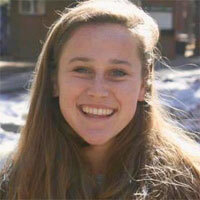 She will continue to work in the lab during her gap year, while applying to medical school. Ariella is using flutamide treatment to assess the effect of in vivo androgen inhibition on the rate of adipogenesis (cell differentiation) of adipose stem cells (a source of therapeutic applicability for the repair and regeneration of acute and chronically damaged tissues) derived from PCOS patients. In addition, in collaboration with another lab, she is studying the epigenetic mechanisms (heritable changes in gene activity that occur without alteration in DNA sequence) that may underlie PCOS developmental programming. 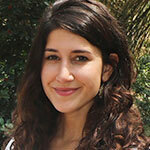 “I am grateful for the mentorship of Drs. Chazenbalk and Dumesic and the great teamwork in the lab,” she says. 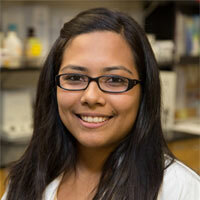 Jaya is in the third year of Internal Medicine residency at Mayo Clinic in Arizona. She elected the Primary Care Track and plans to focus on Women’s Health after her residency. She is currently a Chief Resident and will have one additional year after the current one. Jaya is conducting research on various Women’s Health topics. Thanks to the literature review skills she acquired in Drs. Dumesic and Chazenbalk’s lab, her literature review on the Female Athlete Triad for the Primary Care Physician was published in the Cleveland Clinic Journal of Medicine. 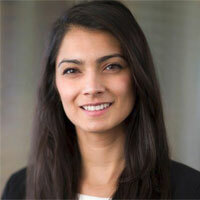 “My passion for women’s health stems from my work in the lab, which jumpstarted my interest in this field and gave me a path to follow as I navigate through residency,” Jaya says. was heavily weighted in my application decision. Thank you!”. 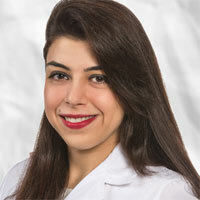 Rasha moved to Gainesville, Florida, for her residency and is currently a resident physician/ PGY2. “Participating in Dr. Dumesic’s lab has helped me enormously,” she says. 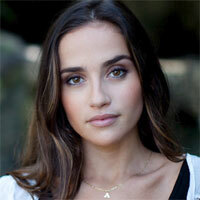 Currently a second-year medical student at the David Geffen School of Medicine at UCLA, Isabel started working in Drs. Dumesic and Chazenbalk’s lab in the summer after her first year. Her research focuses on studying whether in vitro antioxidants improve potential resistance to stress in cumulus cell mitochondrial membrane. This work requires her to obtain consent from IVF patients in clinic, pick up the cell samples after surgery, and study the effect of antioxidants in real time. “What I love most about translational medicine,” she says, “is the interaction with patients and the fact that my work in the lab might improve their IVF outcomes.” Isabel plans to specialize in OB/GYN. She has enjoyed working in Reproductive Endocrinology and Infertility, learning the complexities of this subspecialty, and is strongly considering this concentration. 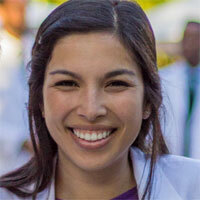 Alexa is a third-year medical student at Keck School of Medicine of the University of Southern California (USC). In the course of her studies, she has served on the Medical Student Subcommittee of the American Academy of Pediatrics; was President of the school’s Salerni Alumni Association; and served on the Evaluation and Recruitment Subcommittee, among other activities. Her time in the WRHRP inspired her to get involved in the planning and implementation of the Women’s and Children’s Health Symposium, a Keck-hosted, day-long event of seminars, workshops, and panel discussions highlighting important issues in women’s and children’s health. 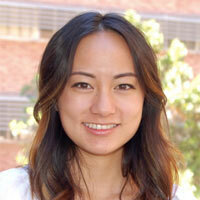 Last year, she was accepted into the Summer Oncology Research Fellowship Program at Children’s Hospital Los Angeles. In her spare time, she continues to volunteer at The Painted Turtle camp for children with chronic medical conditions (as she did while working in the WRHRP), and remains involved in on-campus organizations, such as the Latino Medical Student Association and the Student Senior Partnership Program. 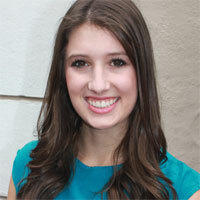 Ariela oversees Patient Care and Clinical Operations at Spring Fertility in San Francisco. A fourth-year undergraduate student majoring in Anthropology at UCLA, Alexandra hopes to add a Biology minor to her degree. She has been working with the WRHRP team for the past year, studying cumulus cell mitochondria resistance to stress as a predictor of oocyte quality, as well as the relationships between hormone responses and android fat distribution. In addition to working in the lab, Alexandra volunteers with the UCLA Youth Empowerment Program, tutoring and mentoring students in underserved communities; and with UCLA’s Asian Pacific Health Corps, providing health screenings and workshops for disadvantaged Asian and Pacific Islander communities. 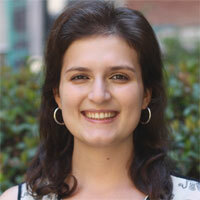 As a member of an anthropology-based research team, she studies the more humanistic side of medicine and healthcare. With these experiences, she hopes to gain a holistic background that will help her pursue a career in medicine and improve the quality of healthcare in underprivileged communities. Julia is in her first year as an M.D./Ph.D. student at the University of Texas Southwestern Medical Center. In the summer of 2011, while applying to medical school, Prapti was looking to get involved in basic science research related to women’s health. She was seeking a deeper understanding of physiology and pathology of endocrinology related to women’s health and found it during her two years in Drs. Dumesic and Chazenbalk’s lab. Prapti says, “The WRHRP acquainted me with a patient experience from bench-to-bedside, giving me invaluable research exposure. This experience will be key to my future success as I apply for a fellowship in reproductive endocrinology and Infertility.” Prapti is currently an OB/GYN resident at the University of Texas Medical Branch in Galveston, TX. lab, assessing subcutaneous abdominal adipogenesis, adipocyte structure-function, and regional abdominal adipose content in lean PCOS women. In 2015, after working for various organizations in the medical and biotech industries in Canada, LaToya joined Episona, an epigenetic data company focused on improving reproductive health outcomes. 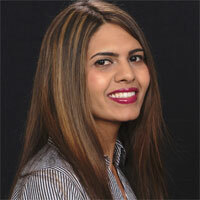 She serves as Senior Manager of Business Development. A UCLA senior pursuing a major in Human Biology and Society and a minor in Gender Studies, Elizabeth has been a member of Drs. Dumesic and Chazenbalk’s lab since her sophomore year. She became interested in the field of OB/GYN as a result of a class she took during her freshman year, which led her to join Dr. Dumesic’s WRHRP program. This spurred her interest in reproductive endocrinology. Elizabeth’s WRHRP research project examines the differences in adipogenesis between PCOS and control patients, as measured by lipid accumulation and adipose stem cell commitment to pre-adipocytes. Her duties on this project include imaging, quantification, and statistical analysis of the lipid and fluorescent markers of ASC commitment. Elizabeth says, “Working in the lab has enormously expanded my knowledge of reproductive science and lab techniques, and has given me the opportunity to work collaboratively with so many amazing and intelligent people!”.